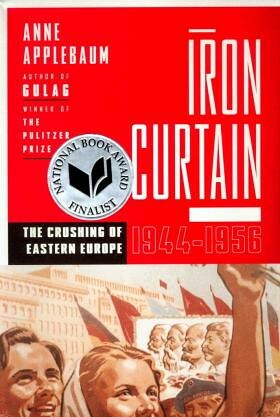 Over the holiday I finished reading Anne Applebaum’s book about the establishment of Soviet control of Eastern Europe. She specifically focuses on East Germany, Poland, and Hungary, and I would have preferred more on Yugoslavia, but they are mentioned. Having lived and traveled extensively throughout the region for the past 5 years, I was really interested in the book. It is quite detailed and some sections are a bit tedious, but mostly it was a fascinating book and answered a bunch of my questions on the communist era. When seeing the communist era buildings here today, I always say “what were they thinking?” This book answers some of that question and more. I highly recommend anyone interested in Eastern Europe to read this book! For Western Europe, post-World War II was a time of healing and rebuilding. My father was stationed in Stuttgart, West Germany as part of the Marshall Plan in the 1950’s and help rebuild the German economy. In contrast, Eastern Europe, instead, was occupied by the Russians and suffered further. War reparations were harsh and much property, both public and private, that the Nazis hadn’t confiscated already, was shipped to USSR. The Soviets also took over every aspect of these nations’ lives and I can see how hated they could be. Massacres, imprisonment, brainwashing, were some of the tactics the Soviets used to take control of these countries. The book goes into great detail describing the local Quisling leaders, most who were trained at the Comintern, the Russian’s international school of communism. Applebaum also discussed the secret police, including the AVO in Hungary. I want to visit their ex-headquarters in Budapest, 60 Andrassy Street, which I think is now a museum. The communists used violence to suppress the already traumatized population. Appplebaum has a chapter on the preemptive arrests, where even teen members of groups like the boy scouts, were arrested, tortured, and killed. I also now understand why the Polish plane crash was so emotional a couple of years ago. The murder of the Polish White Army by the Soviets was intense. This coming after years of resistance fighting against the Nazis. The Nazis had planned to destroy Polish civilization and turn the Poles into an illiterate work force. After the Nazis left, the massacres of Poles by the Ukrainians and Russians continued. This also includes the Polish Jews who were basically wiped out. I also didn’t know that the city of Vilnius, and a big part of the country was lost to the Soviets after World War II. With the loss of land, over 1.5 million Poles were displaced. What a sad history of Poland! I also learned that Winston Churchill coined the phrase “Iron Curtain” in a letter to US President, Harry Truman. In looking back at the communist era, there were some good things. The community spirit raised by events like the youth festivals are lacking in today’s societies. I also learned from the book that poor and disadvantaged people had an easier time in the communist system raising their standard of living. However, there were more bad parts of communism. The ruling elite had a life of privilege, the shortages of consumer items, lack of freedoms, repression of culture and religion, etc. not mentioning the repressive violence to keep the system in place, were not worth it.The effects are still being felt today. The education system formed by the communists was based on the writings of Russian theorist, Anton Makarenko, who favored peer pressure, repetition, and indoctrination. The schools are still trying to modernize. The Communists owned everything, so the process of privatizing thousands of companies and sorting out the land titles of private property, are fraught with corruption. Yugoslavia was much less effected by the Soviets and the “iron curtain” than the rest of Eastern Europe. I understand there is even some nostalgia from that era. It would be interesting to read in English about this era. I wonder how much the files of the Yugoslavia secret police were made public and how much is exactly known from that time. exYugoslavia, the best place on Earth, the vast majority of people lived good, everyone had work and could go to university for free, seaside, mountains… and then criminals came, first regular ones and then scum dressed in fancy suits – “ruling elite”.